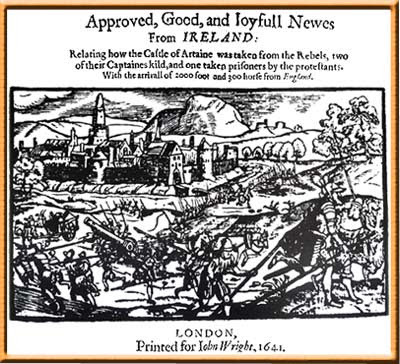 The last few days have seen a lot of press about an effort to use linguistic evidence to gain new insight into a pivotal moment in Irish history, the Rebellion of 1641. I can't vouch for the info in the link ... it's hotly contested territory and well beyond my knowledge of Irish history, but any version of the story I know has thousands of people being killed. Some links to the current project are here, here and here. The effort is being led by Barbara Fennell, a well known specialist in sociolinguistics and historical linguistics. (In fact, there's a thriving subfield called 'socio-historical linguistics', which she's part of.) They've digitized, it looks like, upwards of 20,000 pages of contemporary reports on the massacre and it sounds like a big part of the project will be doing corpus work on the material and working to get the clearest possible sense of how accurate particular reports are likely to have been. Difficult work, but could contribute to understanding events that have shaped a chunk of European history.